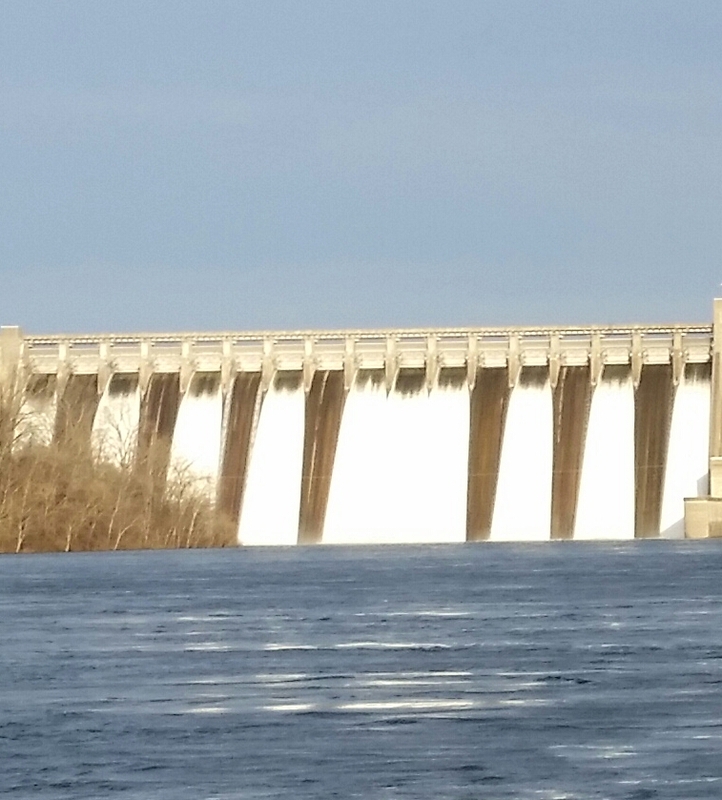 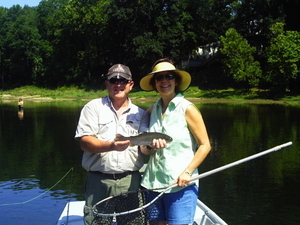 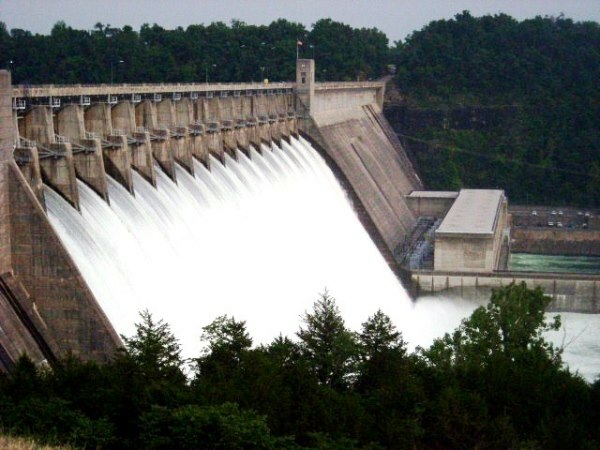 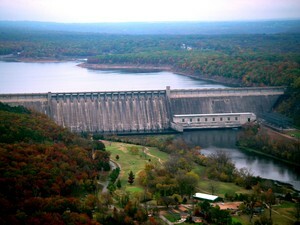 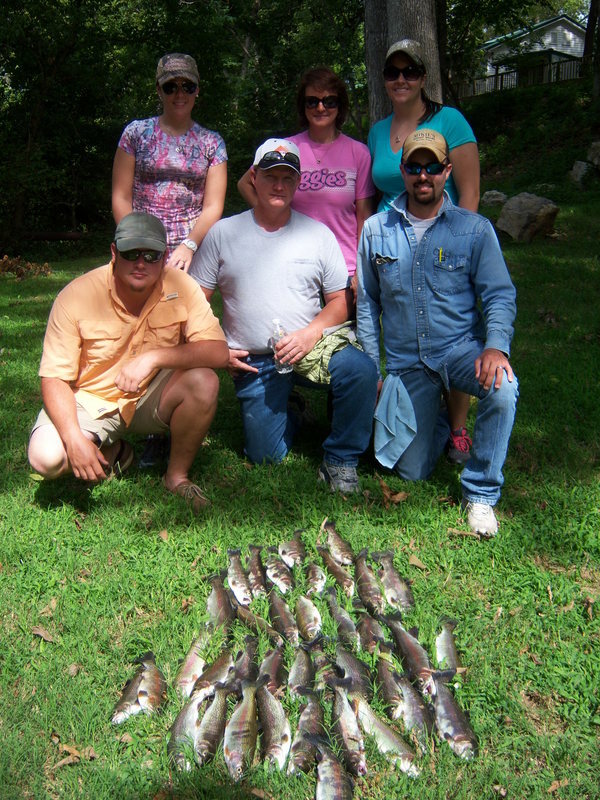 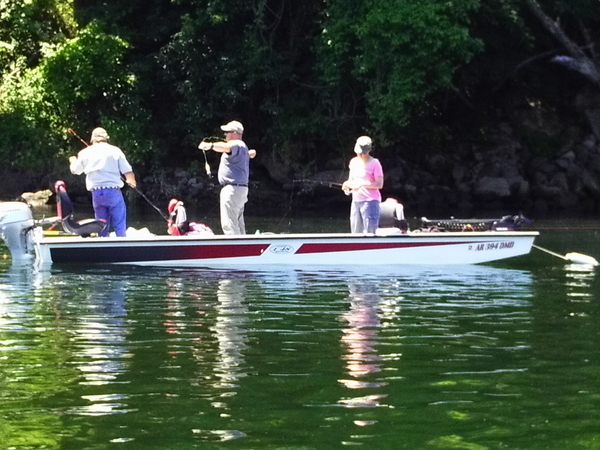 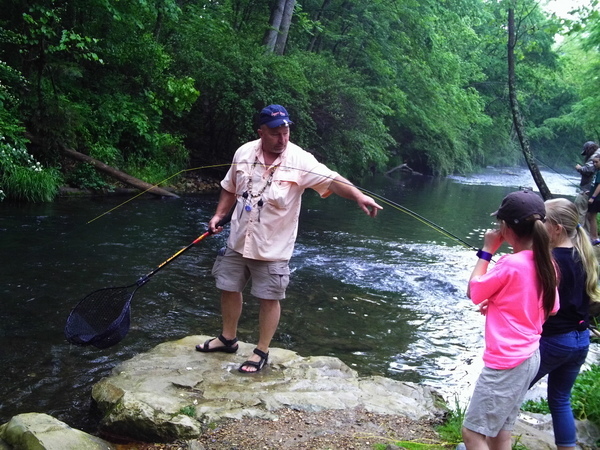 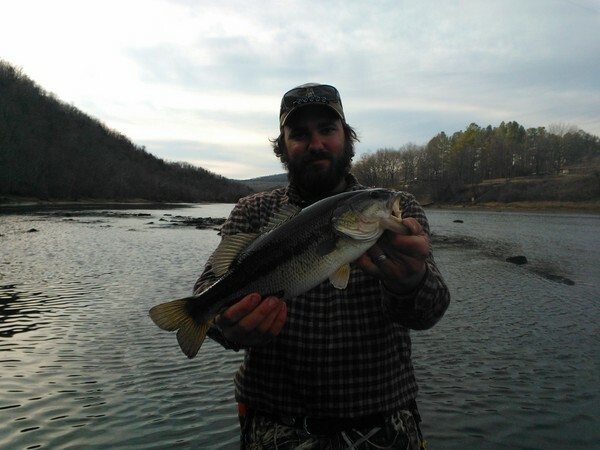 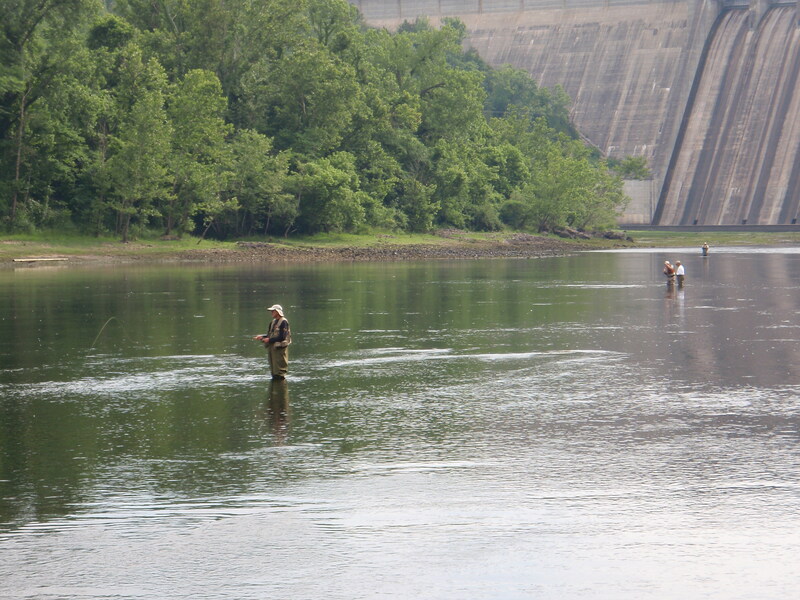 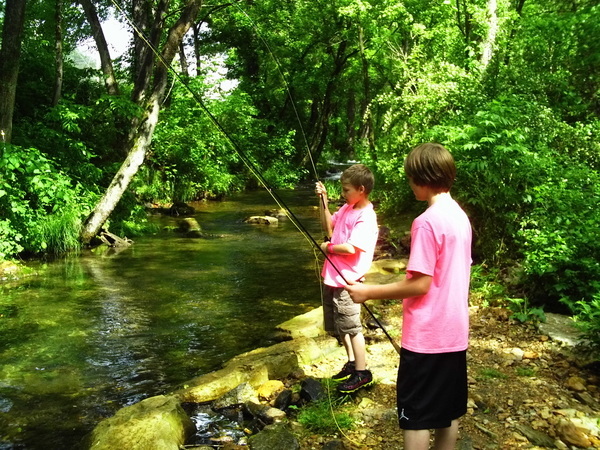 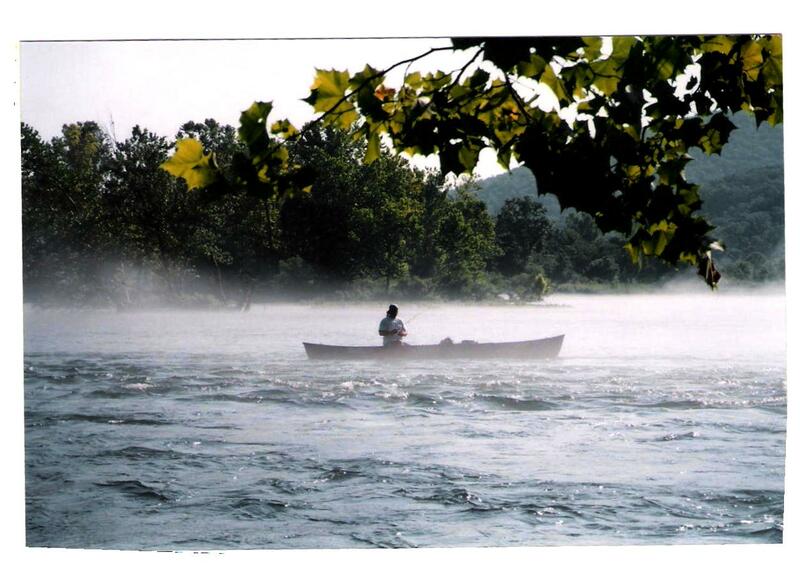 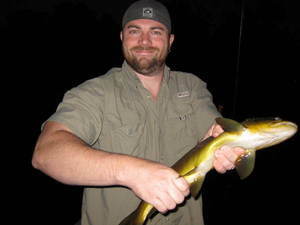 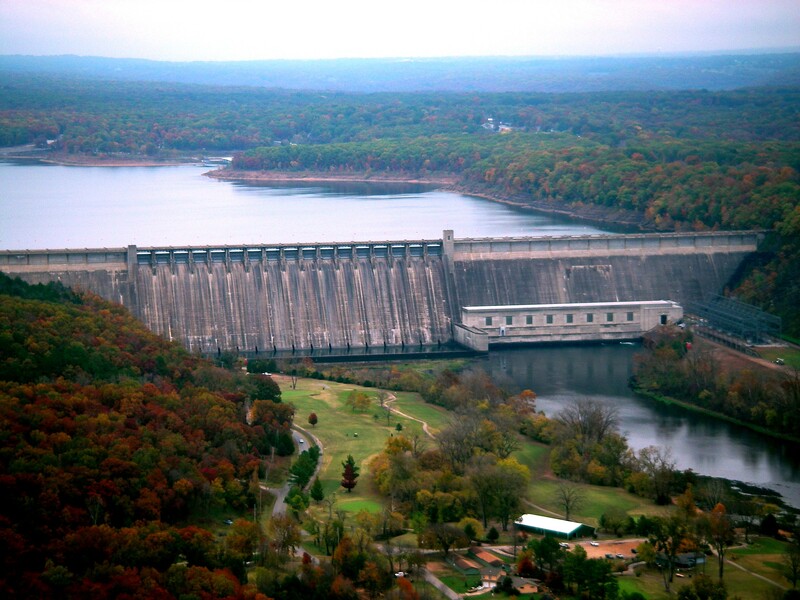 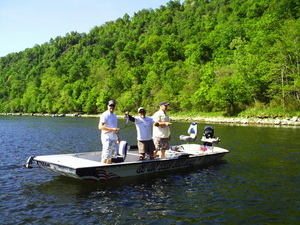 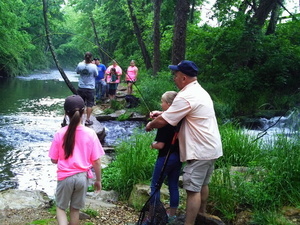 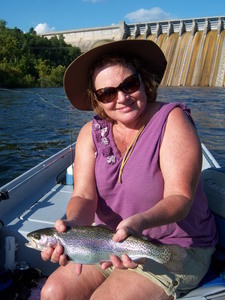 There really is no better place than North Central Arkansas when it comes to all types of freshwater fishing. 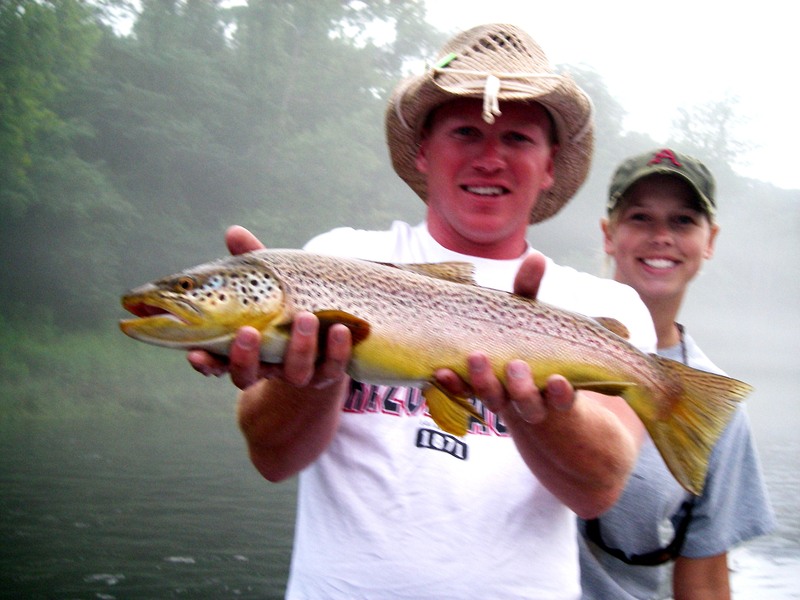 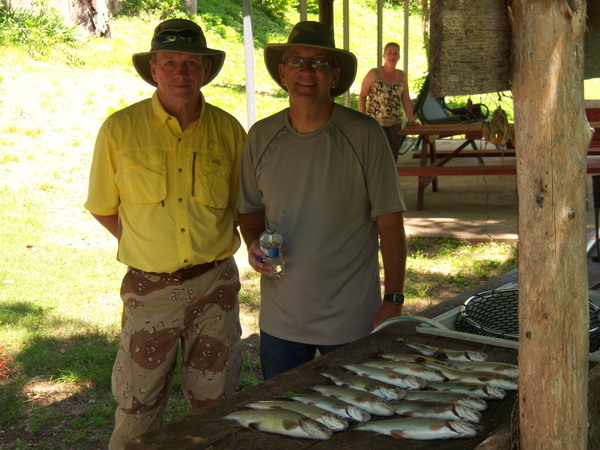 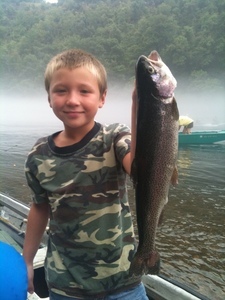 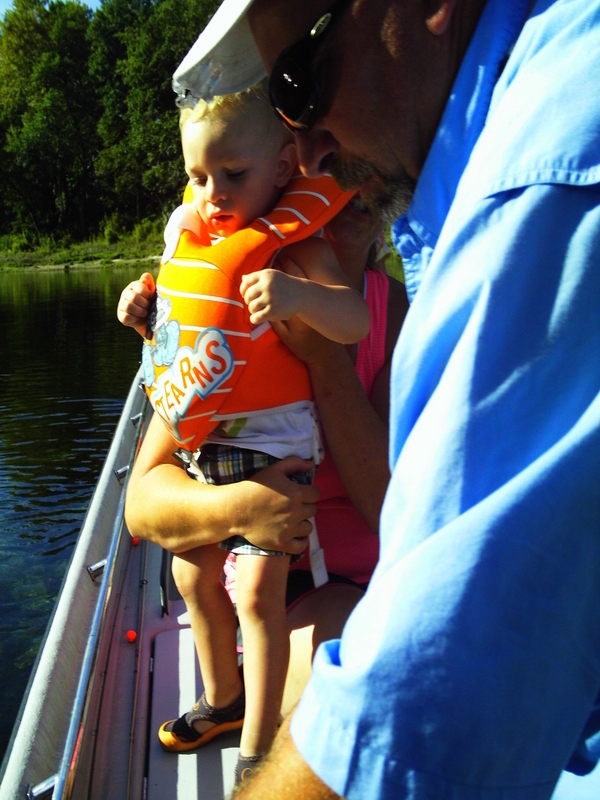 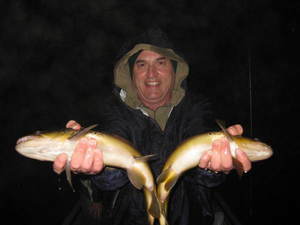 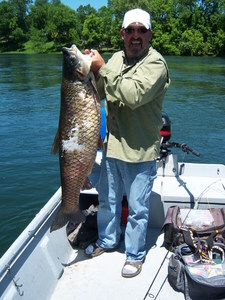 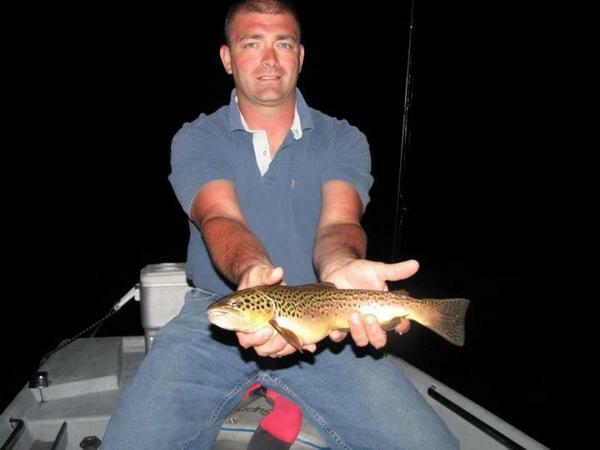 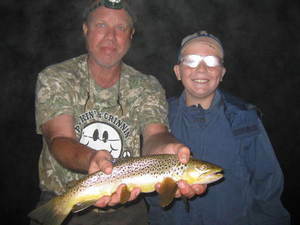 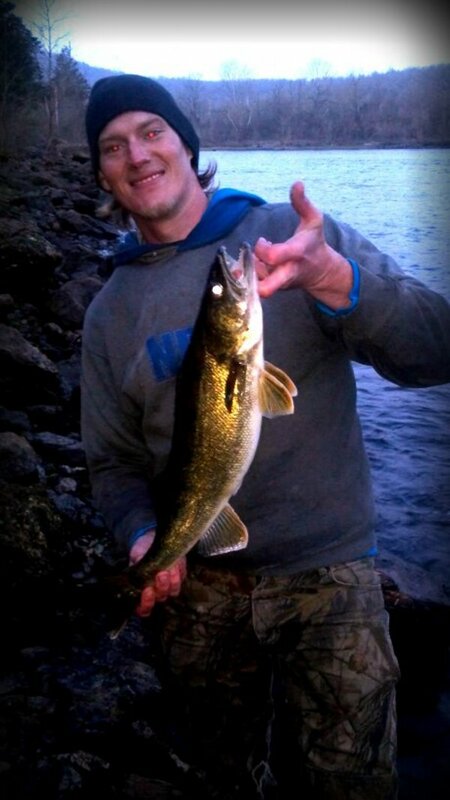 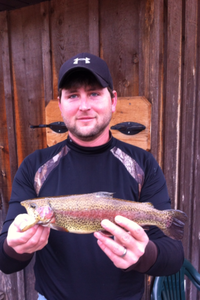 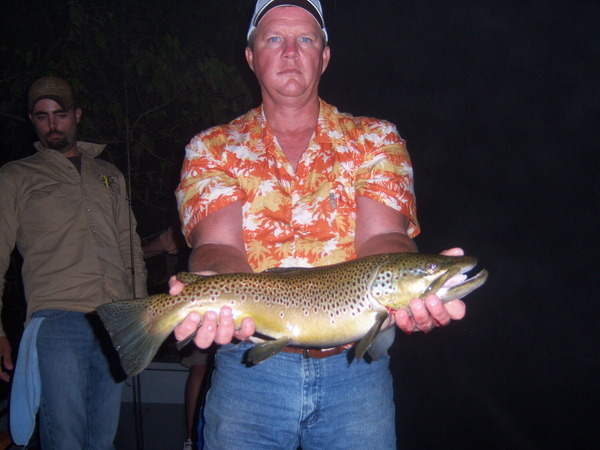 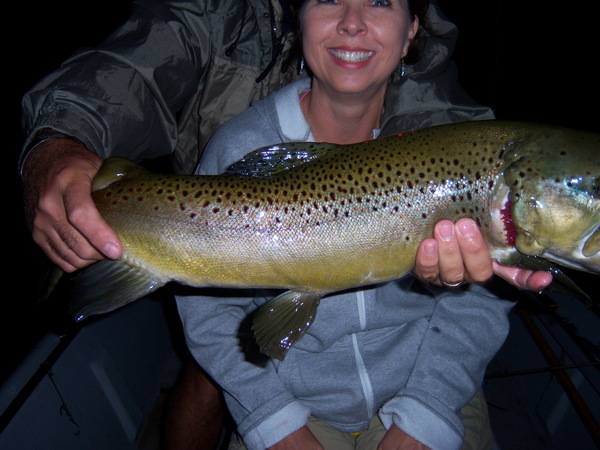 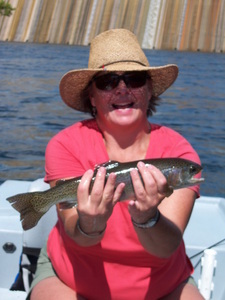 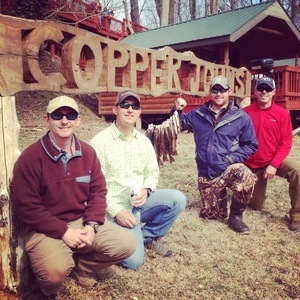 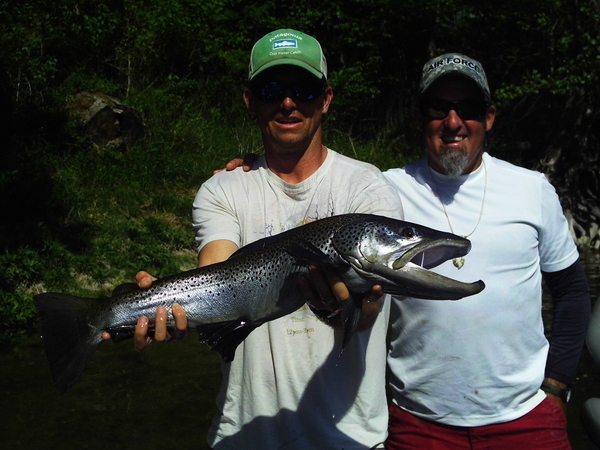 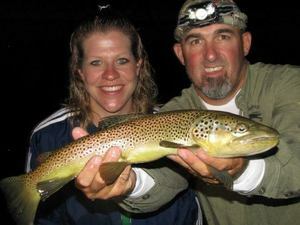 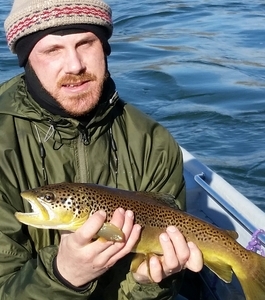 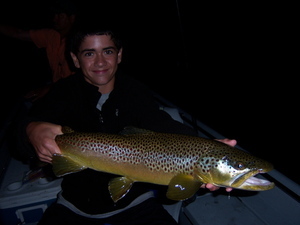 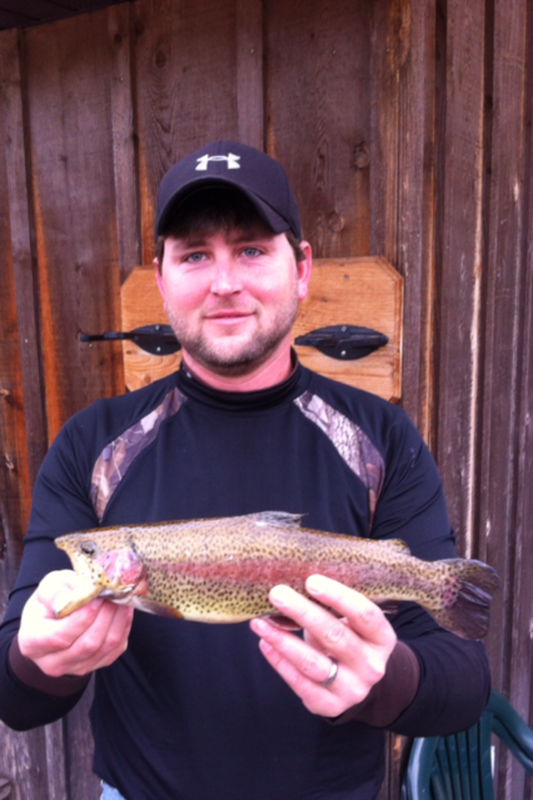 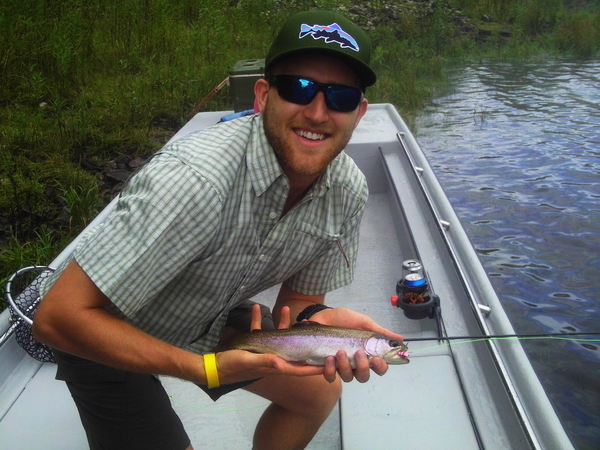 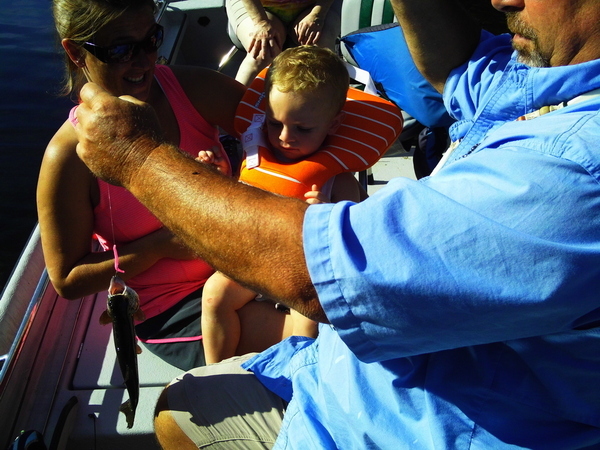 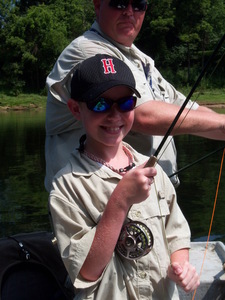 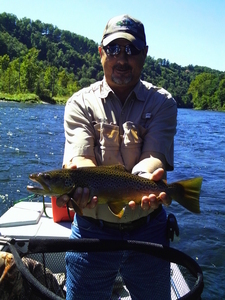 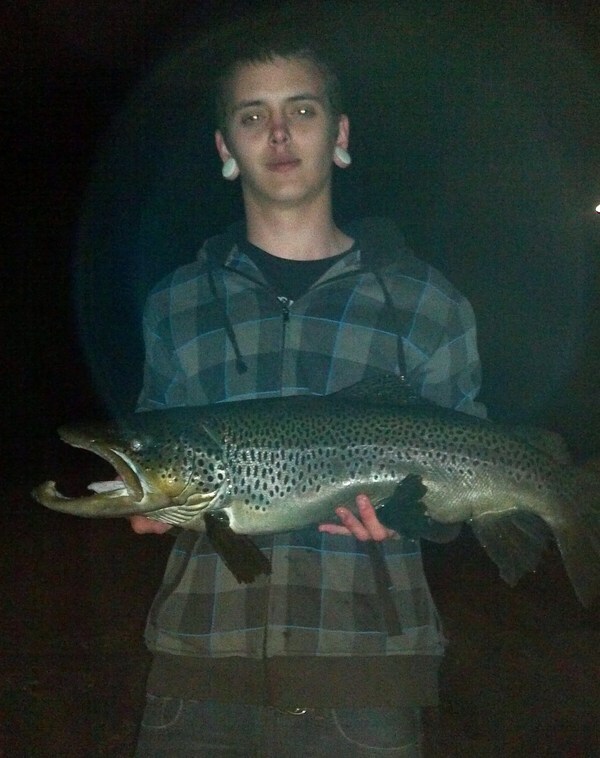 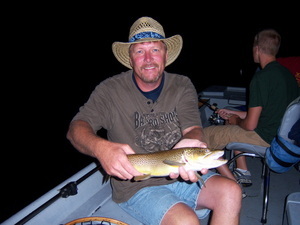 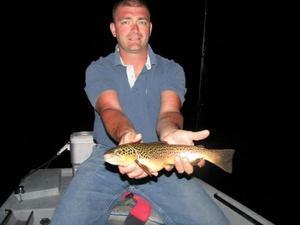 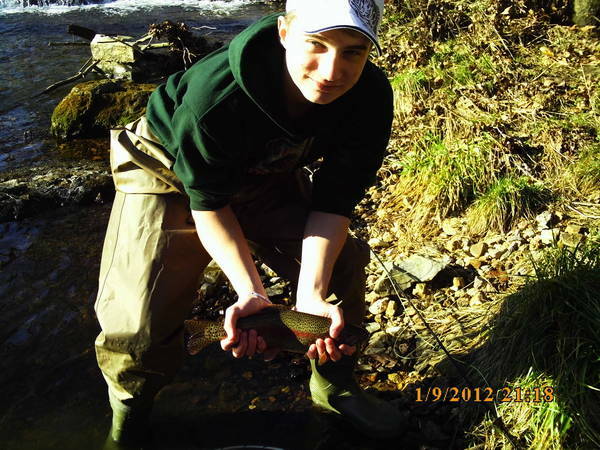 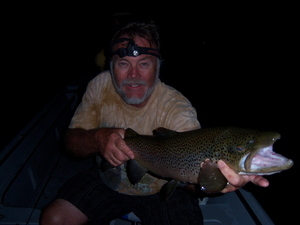 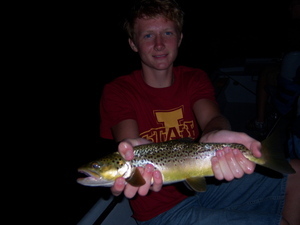 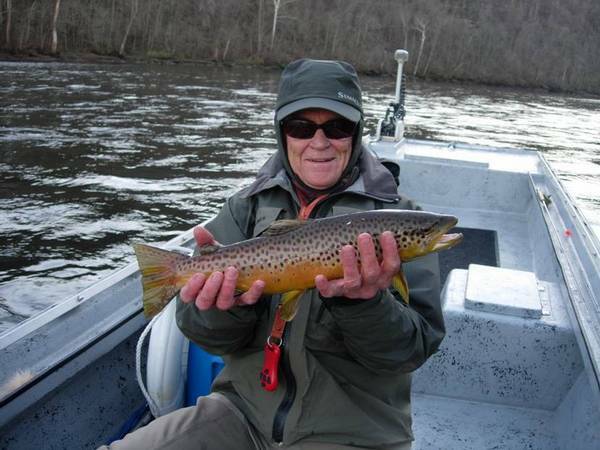 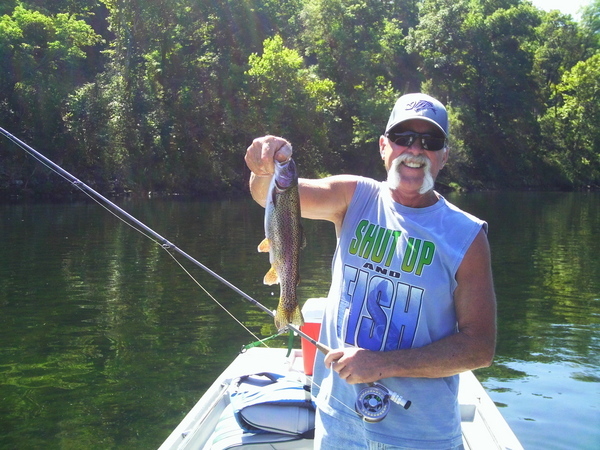 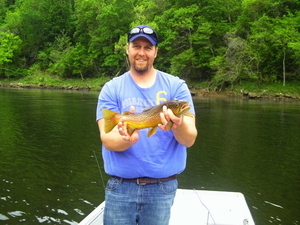 At Copper Johns Resort, we are surrounded by premier fishing options each filled with good quantity and giant fish. 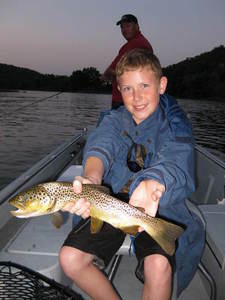 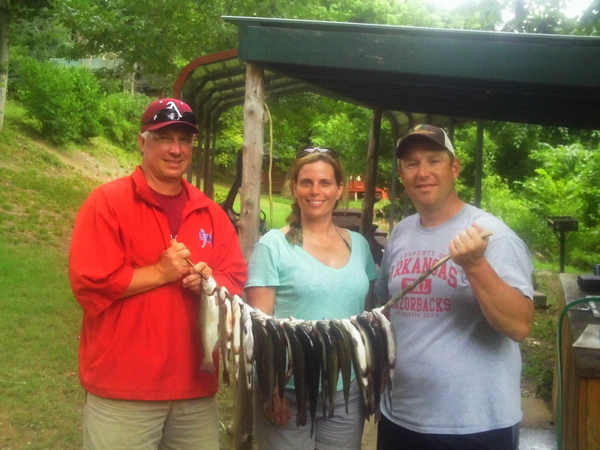 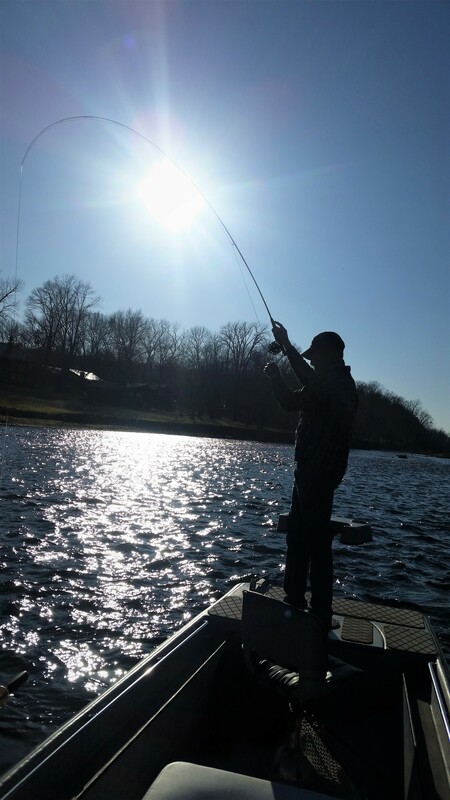 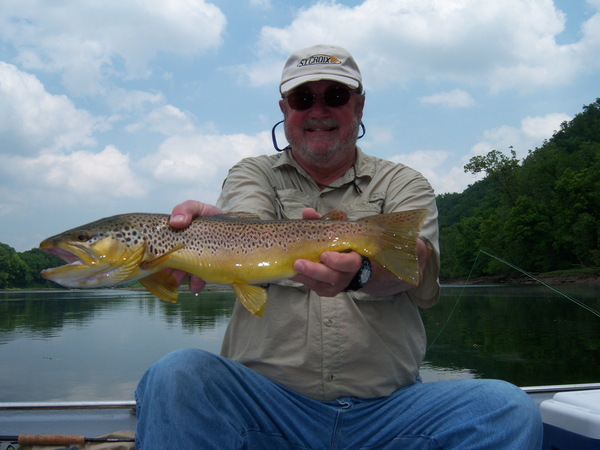 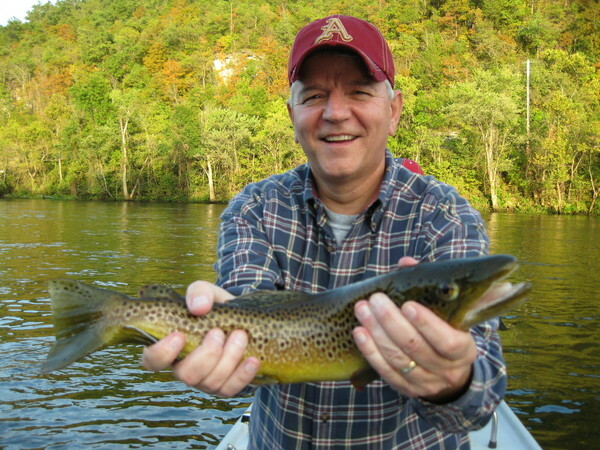 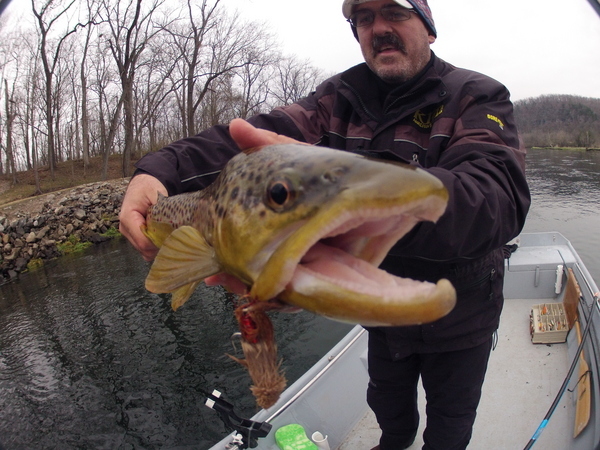 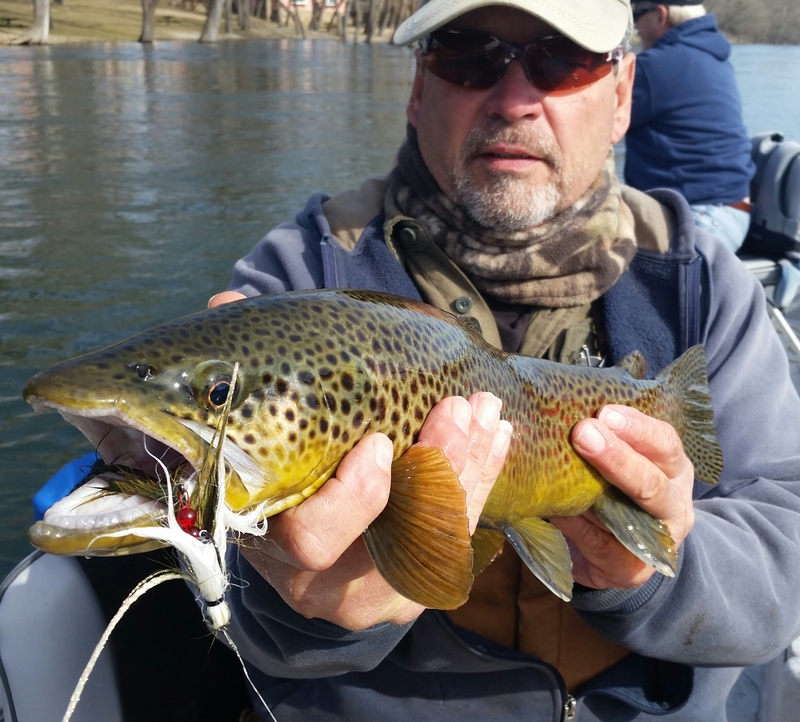 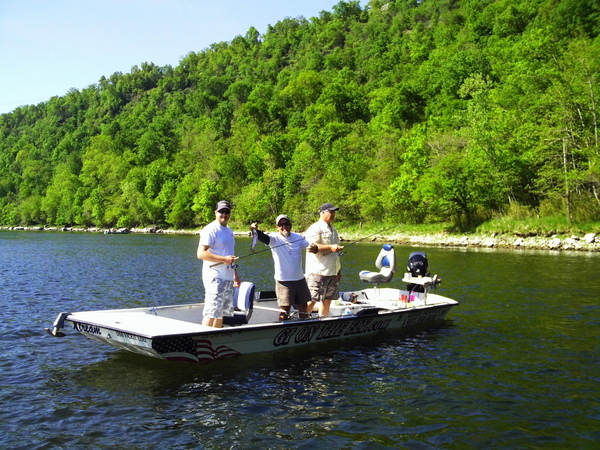 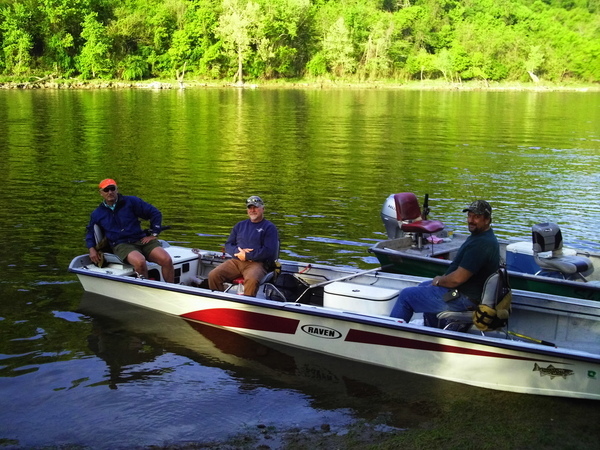 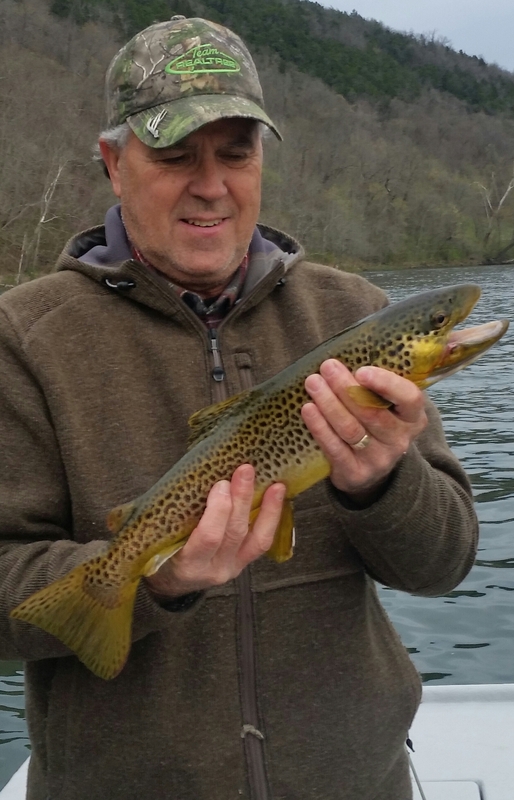 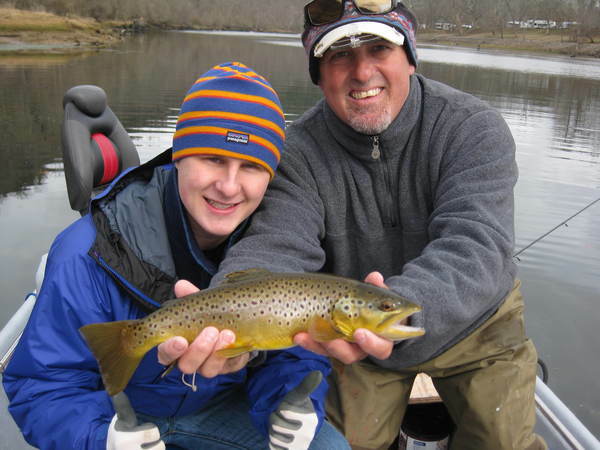 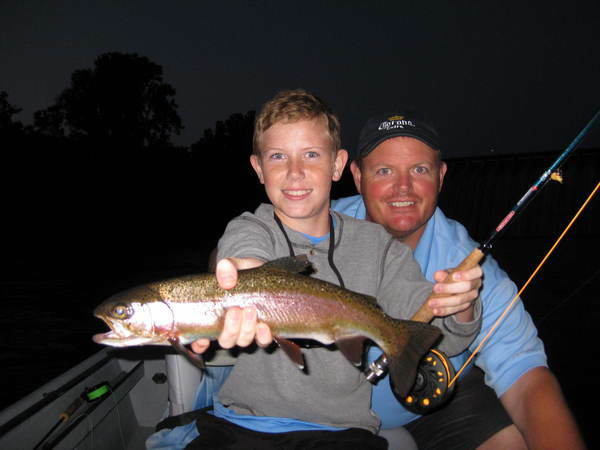 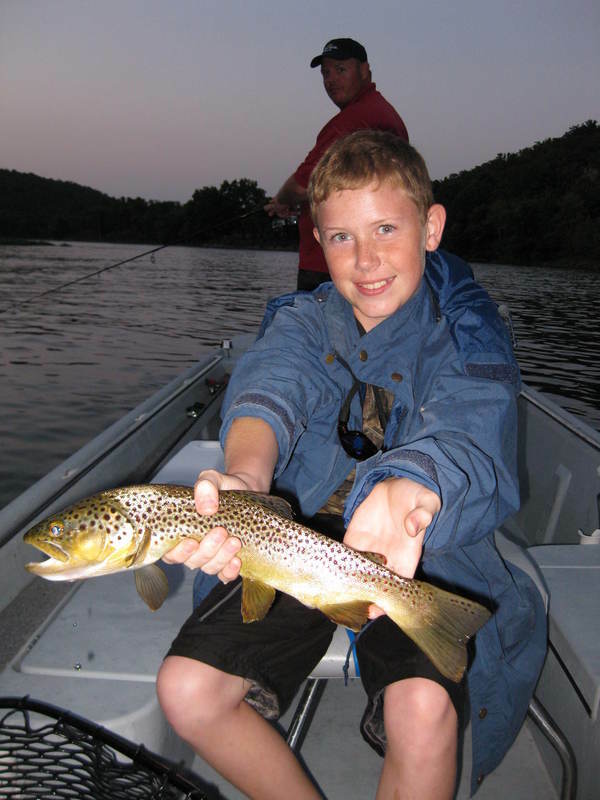 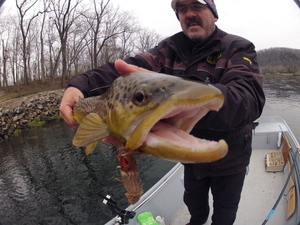 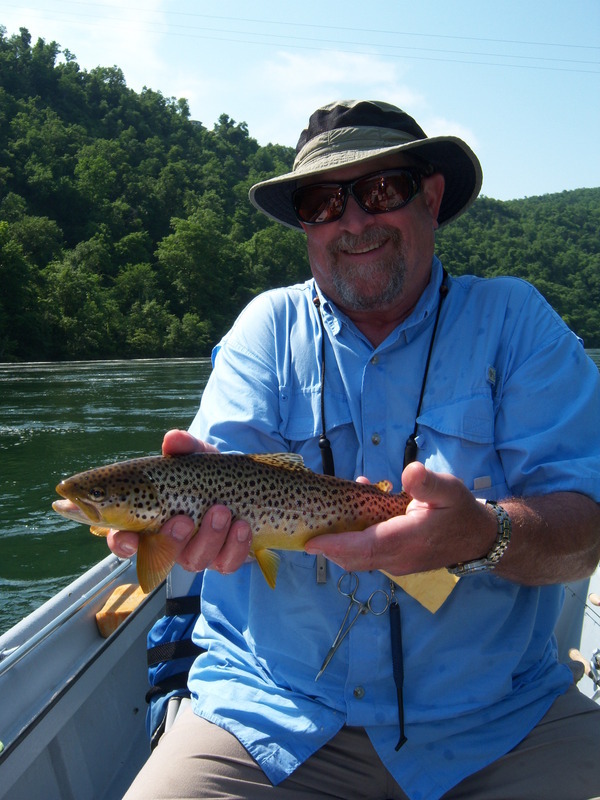 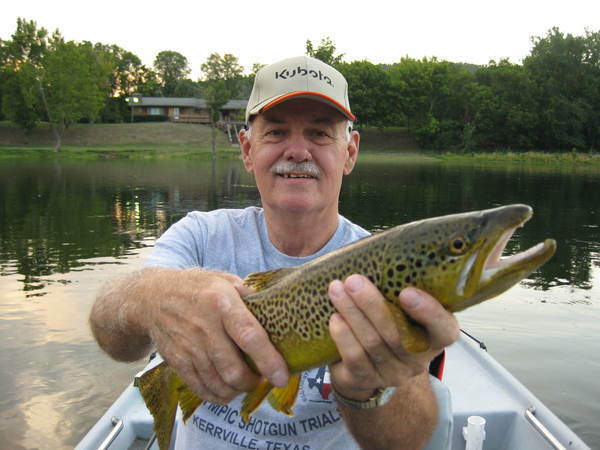 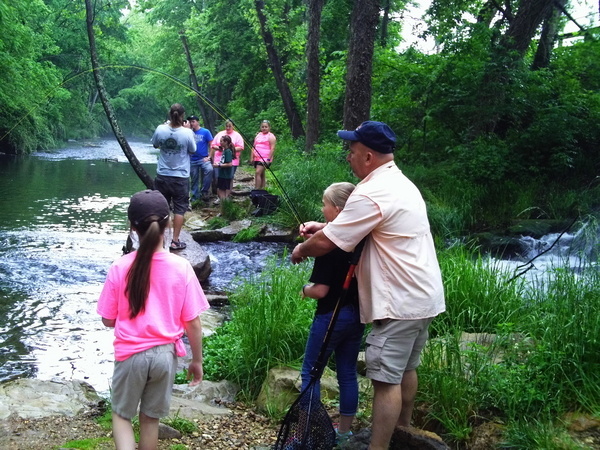 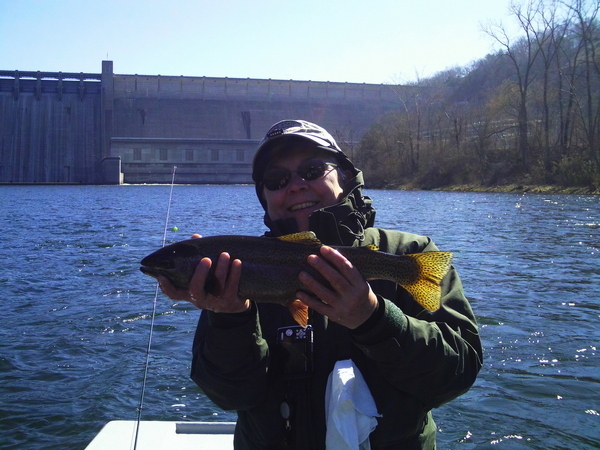 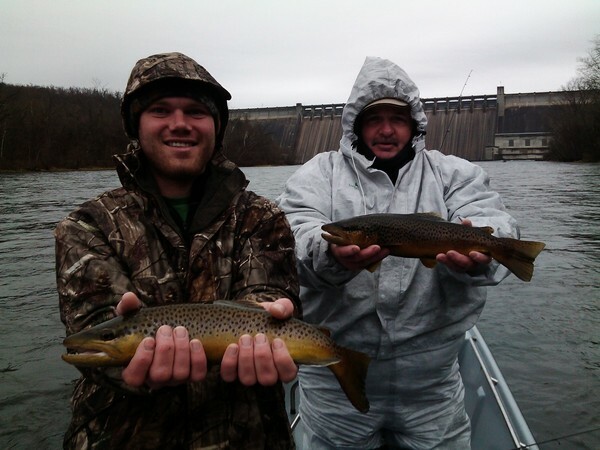 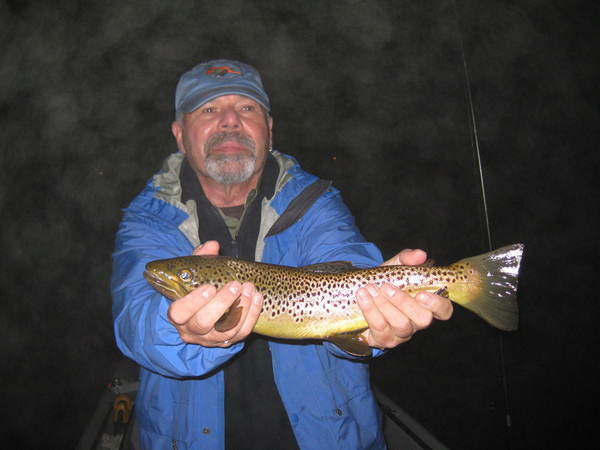 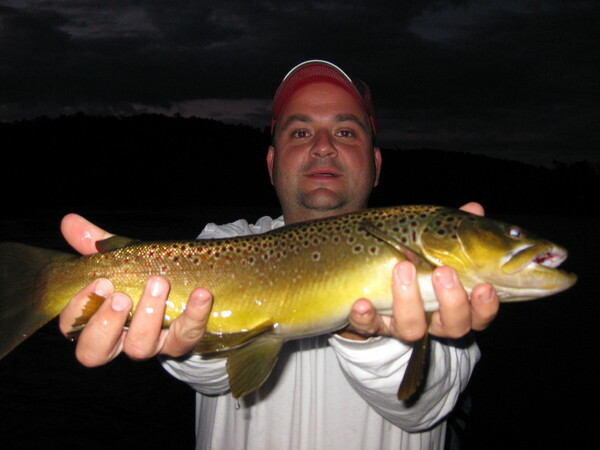 With two prestigious lakes nearby and smallmouth fishing rivers like Crooked Creek and the Buffalo River, you are bound to find the type of fishing that best suits you and your party. 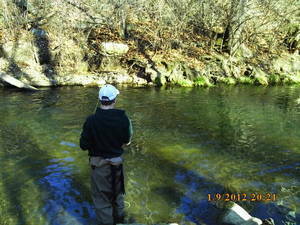 None closer than the White River though, one of the worlds best trout rivers. 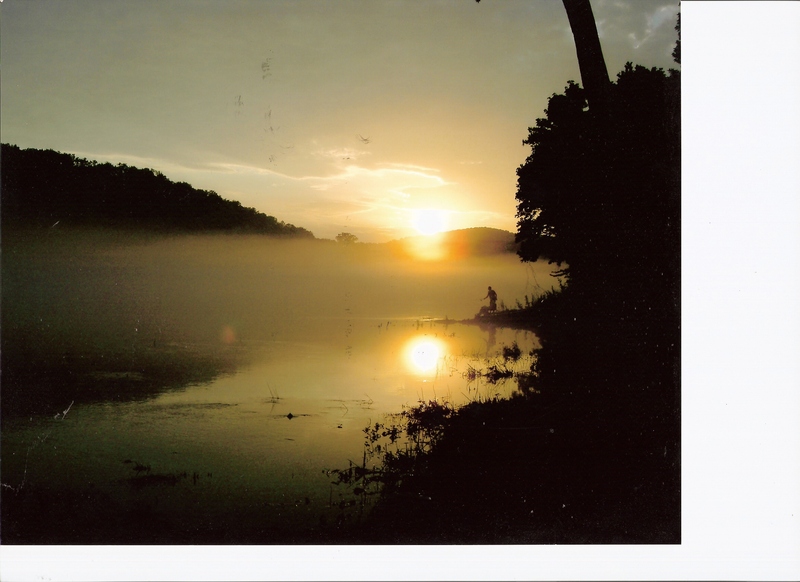 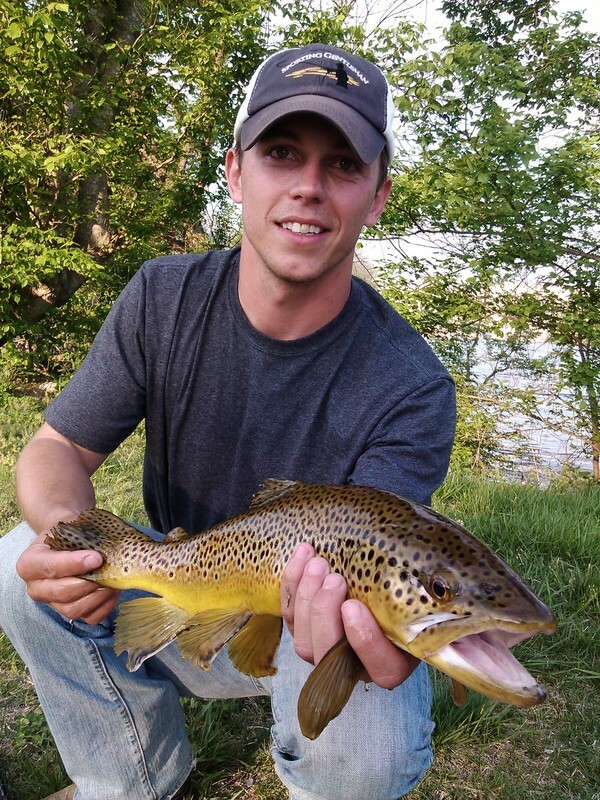 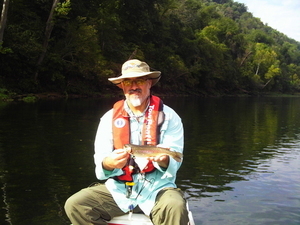 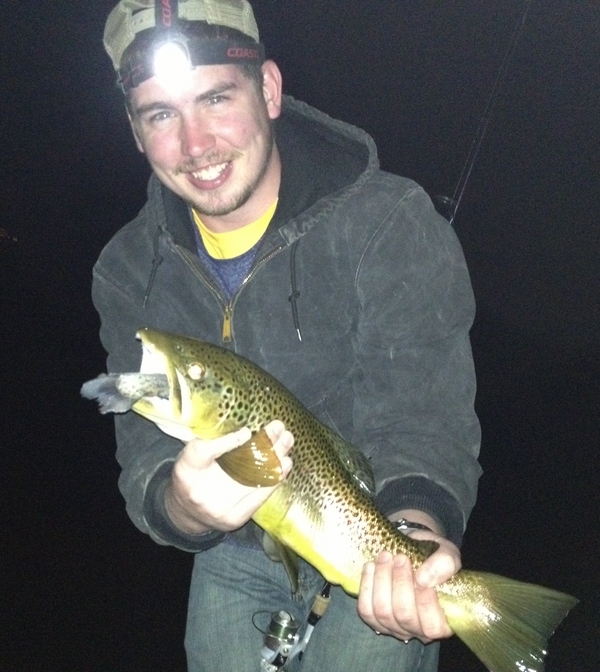 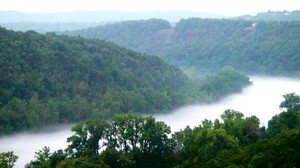 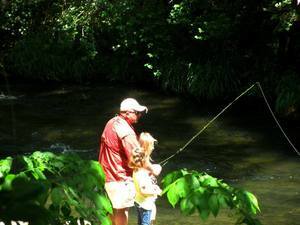 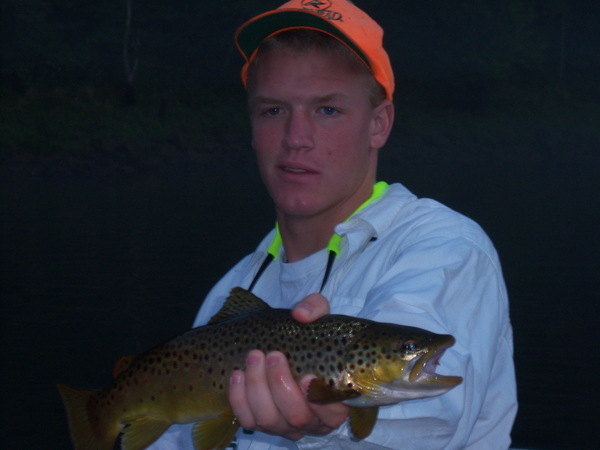 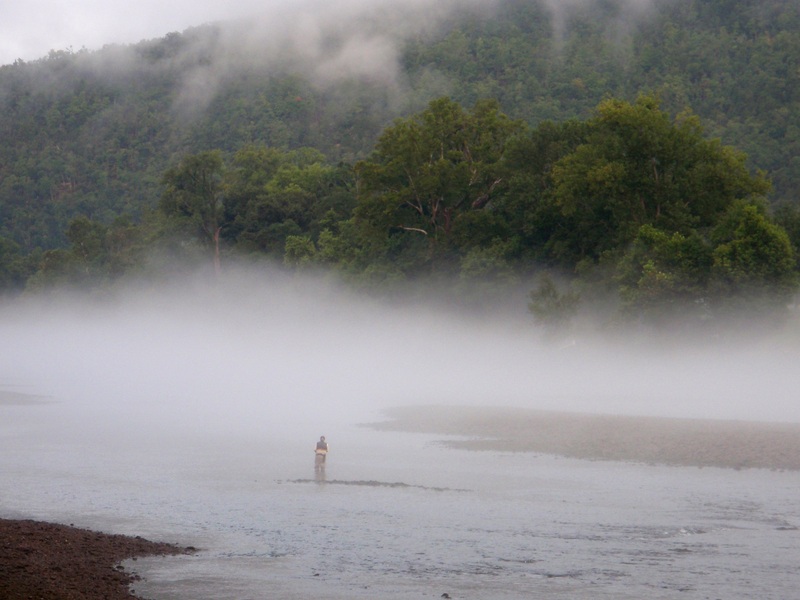 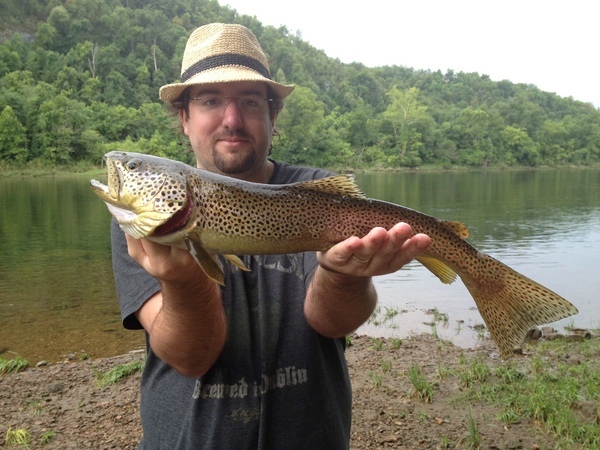 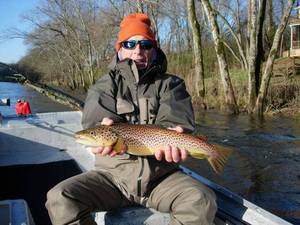 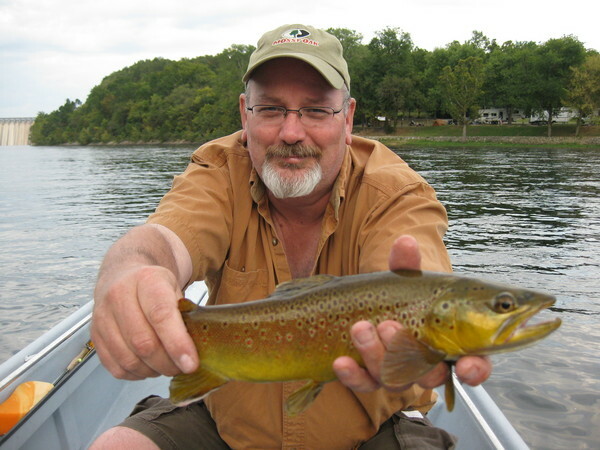 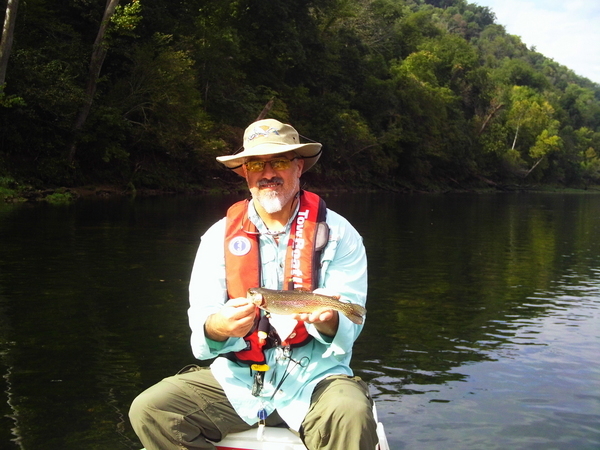 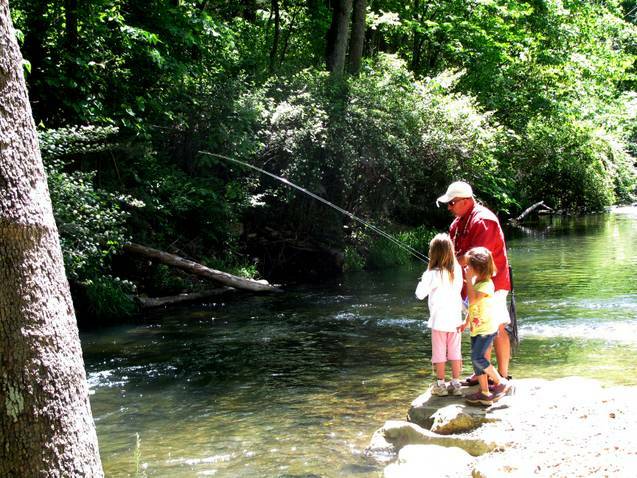 The White River has always been hallowed ground for trout. Because of the year round water temperatures and abundance of aquatic insects, our fish get big in the White River system. 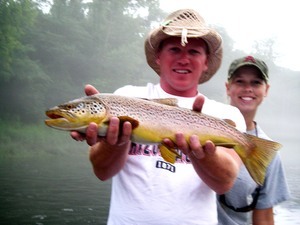 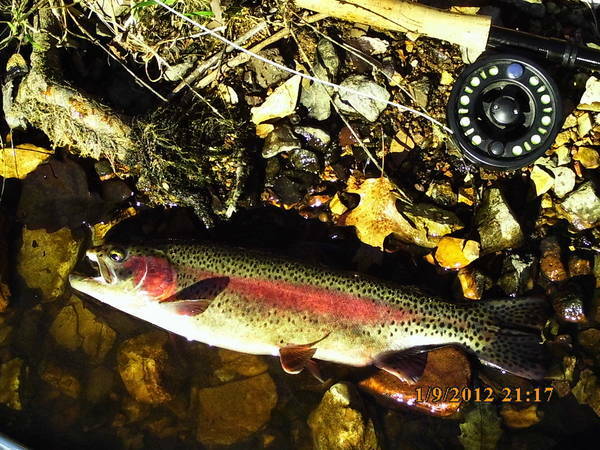 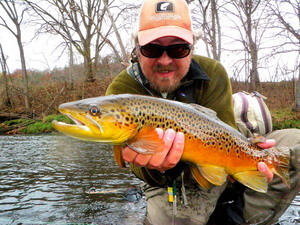 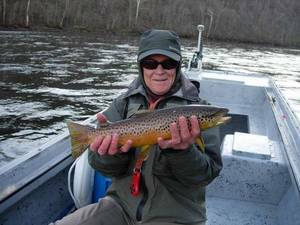 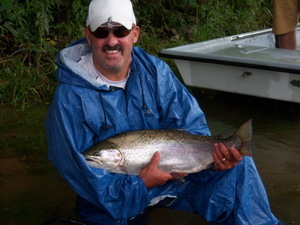 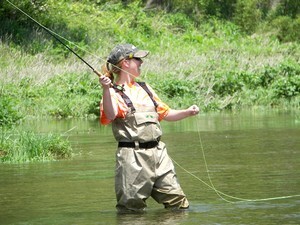 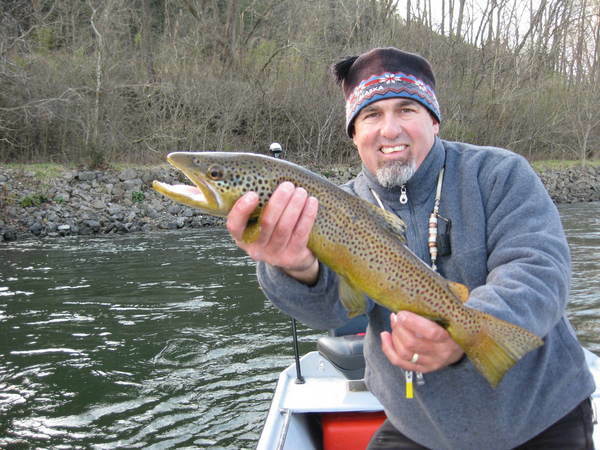 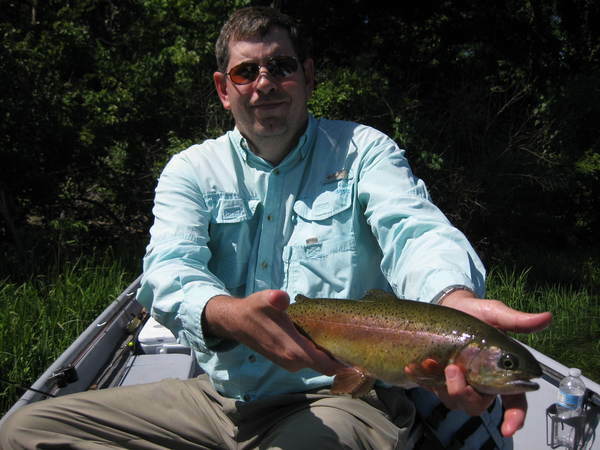 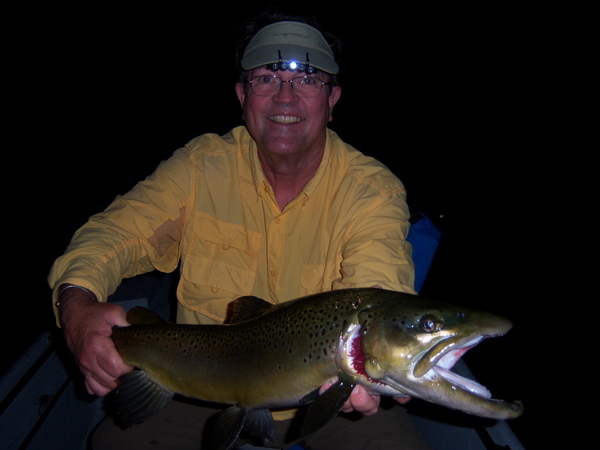 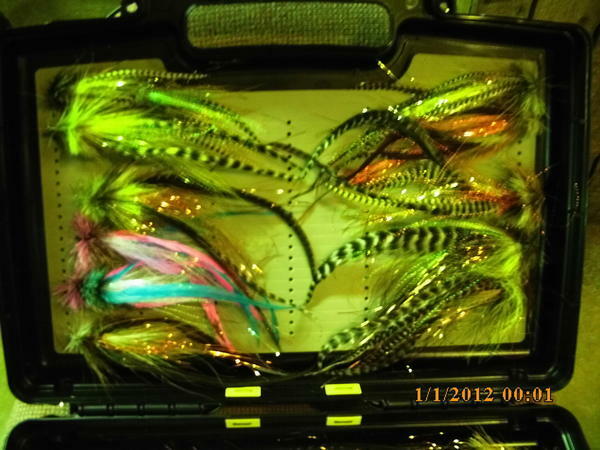 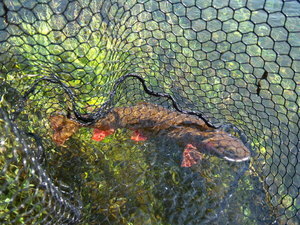 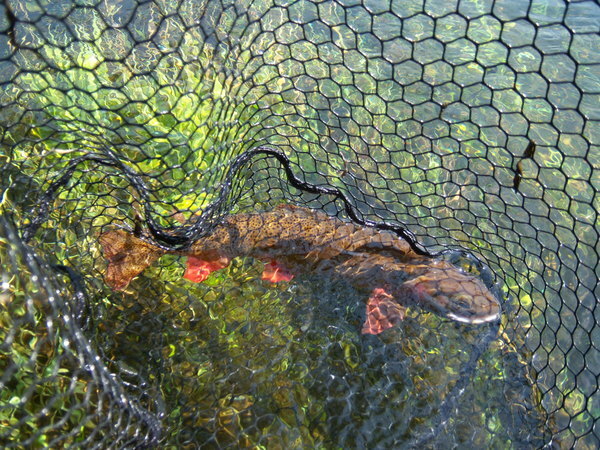 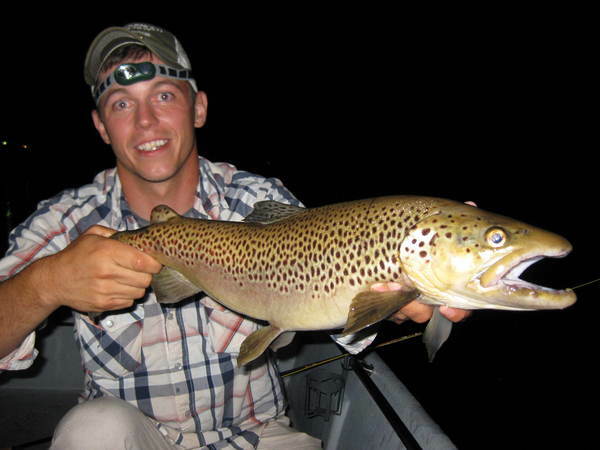 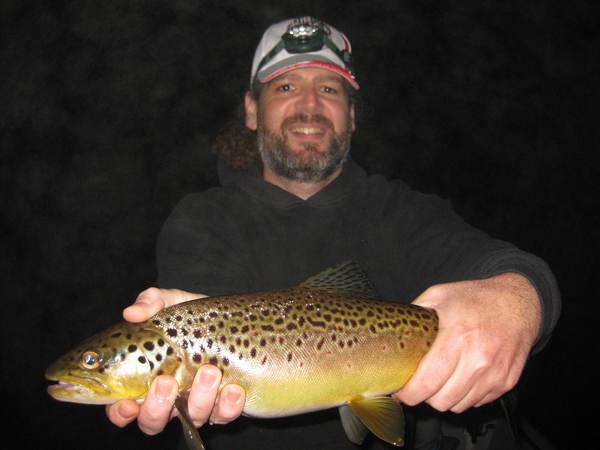 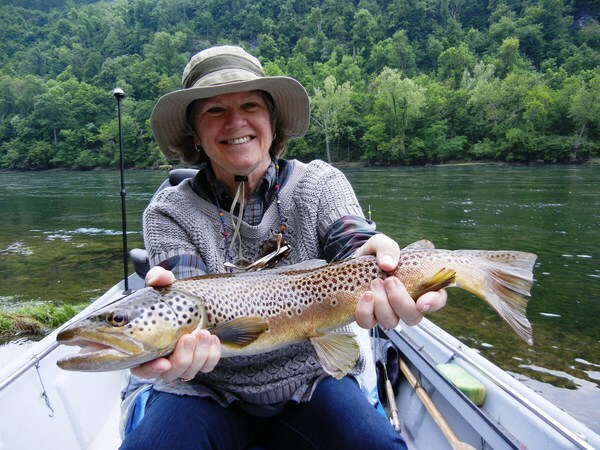 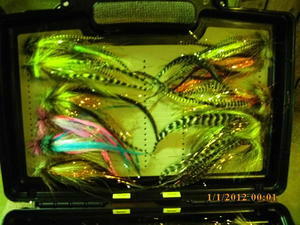 You will be hard pressed to find a river that offers more fish per square mile and quality fish. 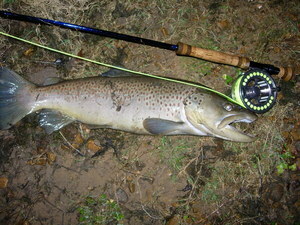 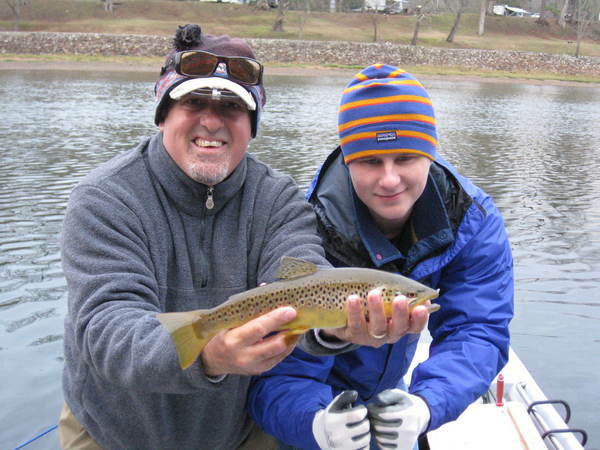 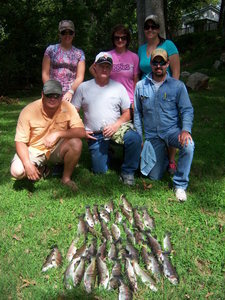 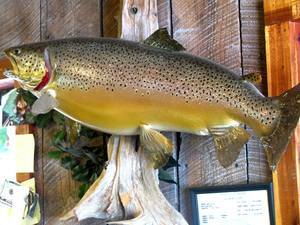 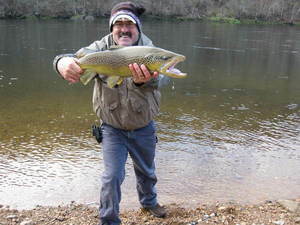 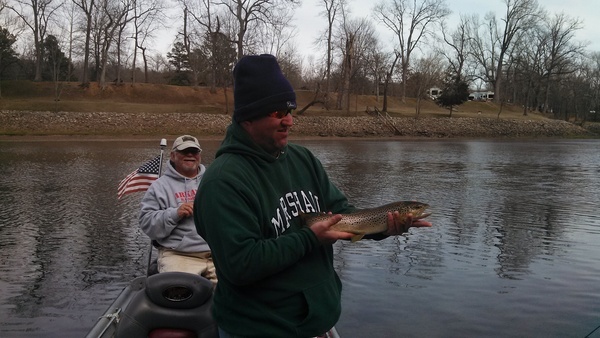 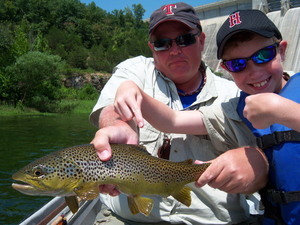 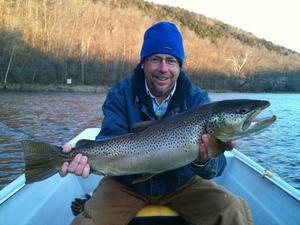 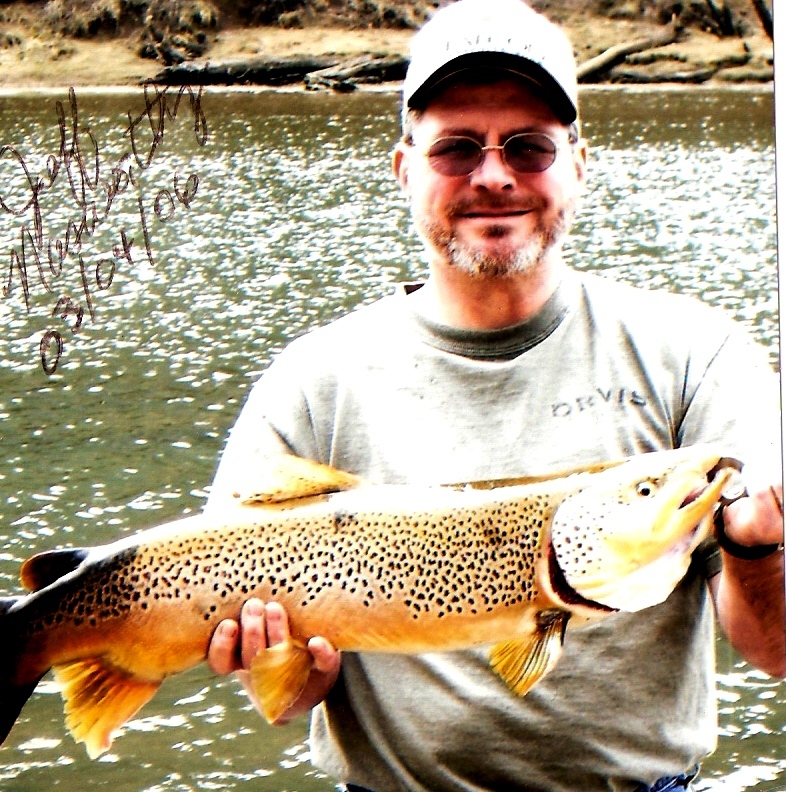 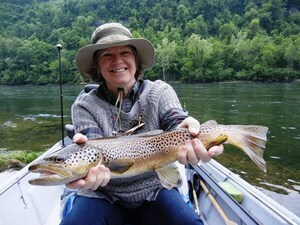 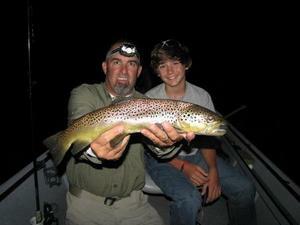 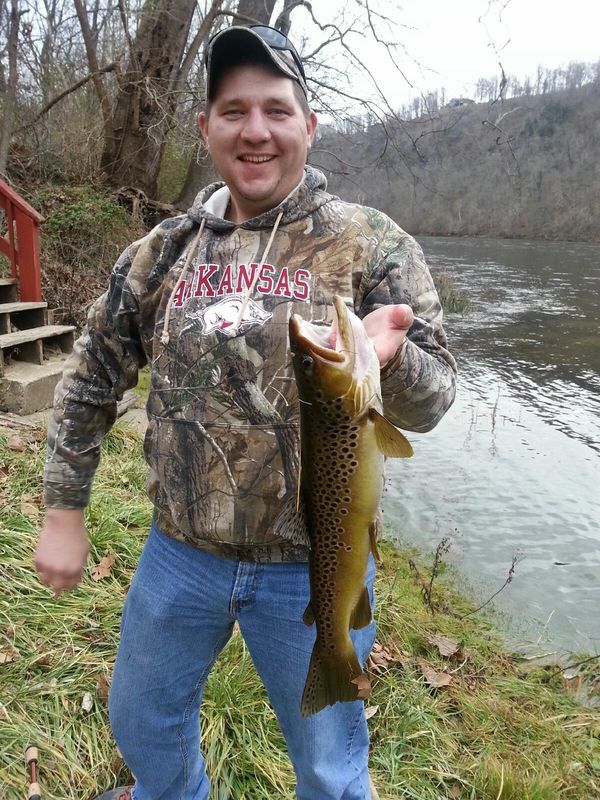 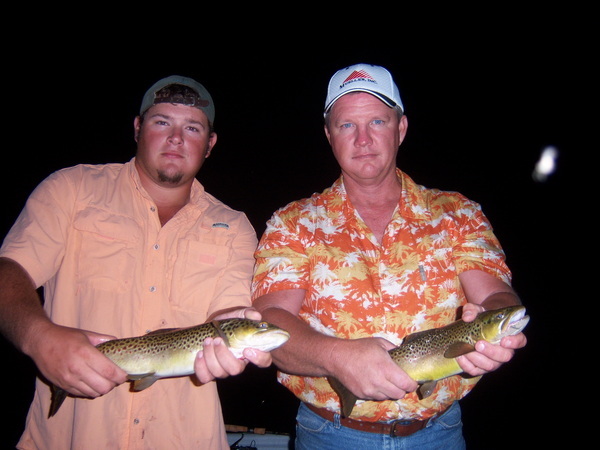 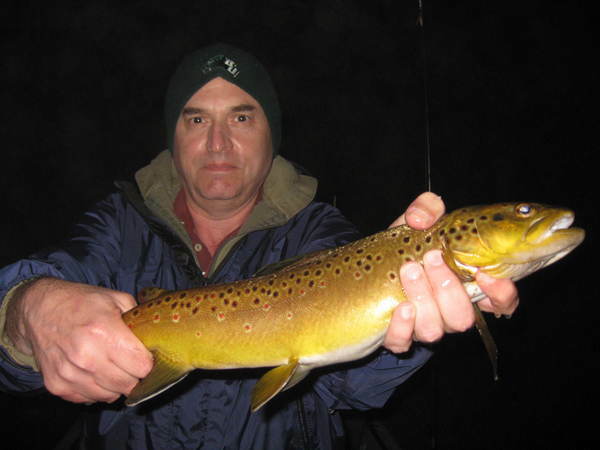 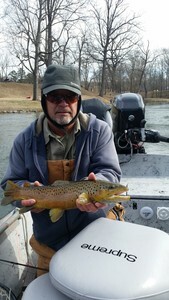 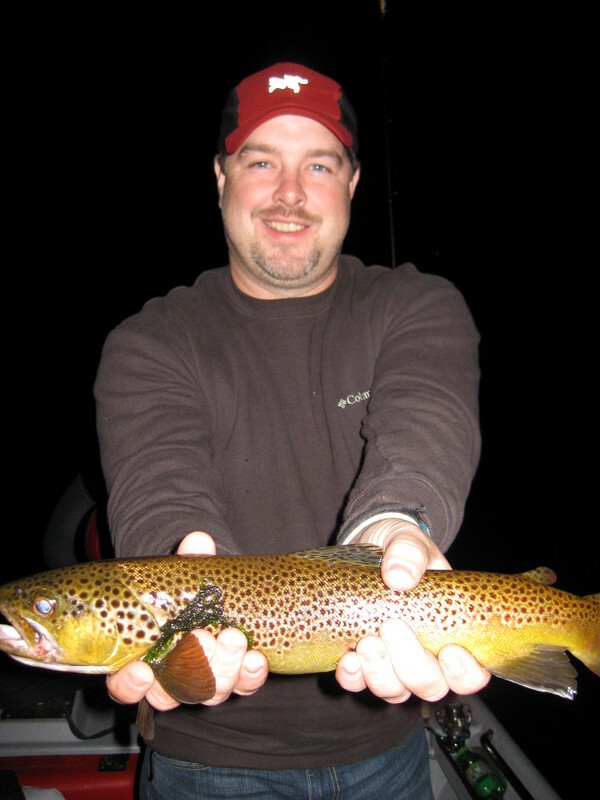 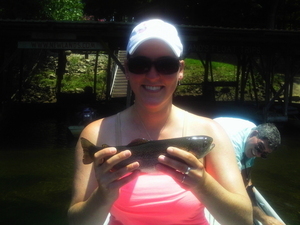 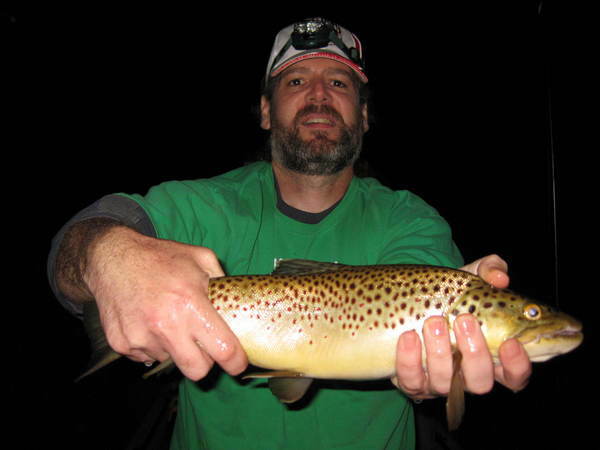 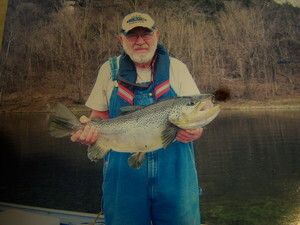 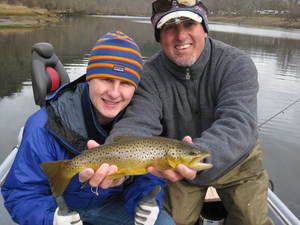 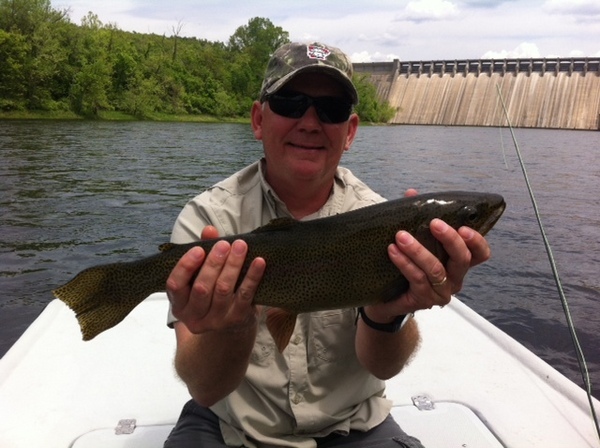 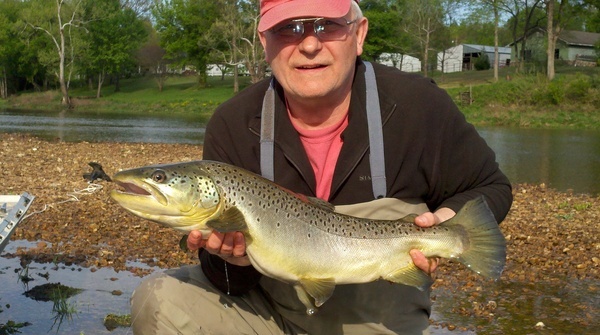 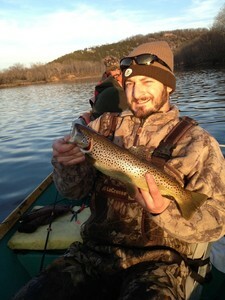 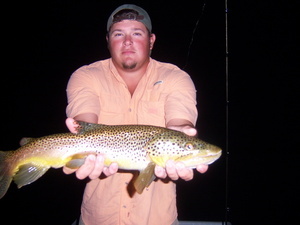 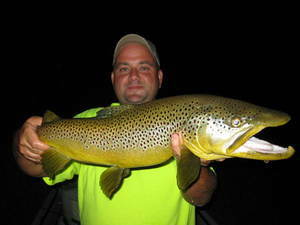 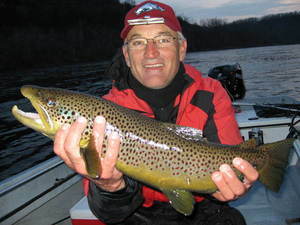 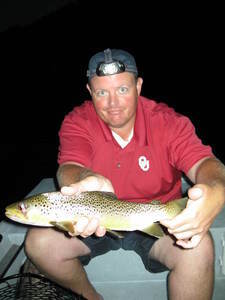 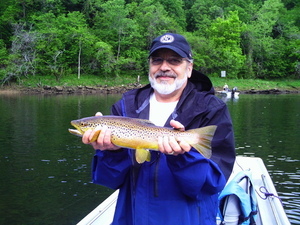 The world record brown trout was caught in Arkansas, with many fish taken in the 10 plus pound range in the White River. 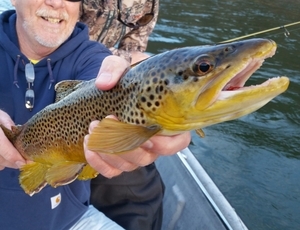 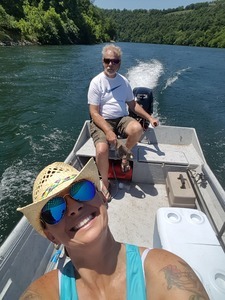 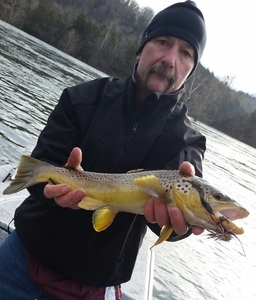 If catching lots of fish and having the opportunity to hook into a bruiser sounds like fun, let us at Copper Johns Resort guide you in your next adventure !